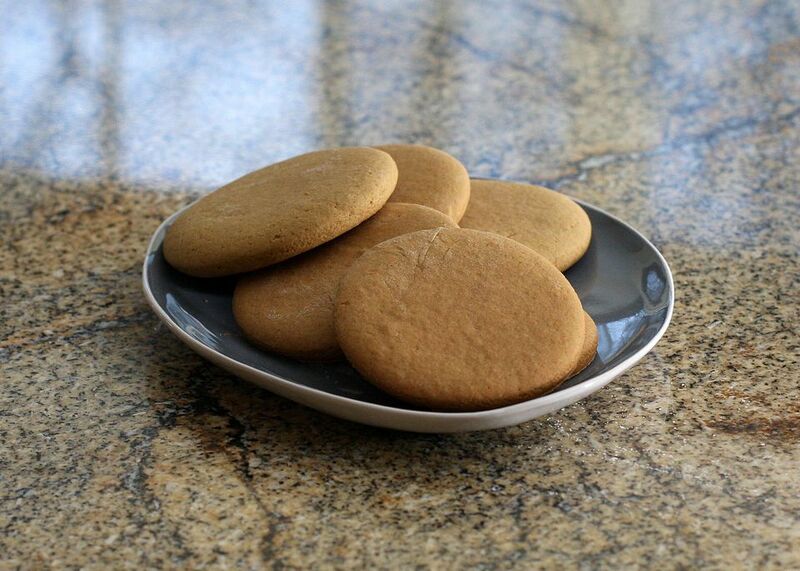 A vintage recipe for molasses cookies with cinnamon and ginger and cloves. For easy rolling, put the dough on a silicone mat or floured surface and put a sheet of plastic wrap over the dough. Beat in egg, molasses, and boiling water. Stir in 1 cup flour, soda, and salt. Add spices and remaining 4 cups of flour, or as needed to make a stiff dough. Mix well, shape into a ball or loaf and wrap in waxed paper. Next day, roll out on floured surface and cut with cookie cutters. Place on greased and floured baking sheets. Bake at 375° for 10 to 12 minutes.